In this unique historical moment, a growing number of women are entering the workforce, creating income as microentrepreneurs, running large companies, moving millions of dollars as angel investors and philanthropists, and generating policies and theories as economists and advocates. They are also losing their homes, struggling to keep up with rising food prices, migrating to find jobs, working in exploitive conditions, and fighting for land, property and inheritance rights. How are the globalized economy and current financial crisis affecting women’s lives? Amid all the debates and discussions about the worldwide economic meltdown of 2009, where are the voices and experiences of women? Economica, I.M.O.W.’s online, interactive, multimedia exhibition explores the many facets of women’s contributions to the global economy. In addition to our curated content, Economica features the stories, artwork, music and films submitted by I.M.O.W. 's online community members. Every woman participates in the economy, but we all have different stories to tell. We invite you to view stories from our community. Incorporating Economica and its many articles, case studies, podcasts and visuals in a classroom setting will further students’ understanding of the global economy and give them important insight into women's participation within the sector. Educational activities derived from Economica examine both the empowerment of women and the transforming global economy. View as PDF and download: Educator's guide to Economica. 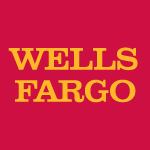 Wells Fargo & Company is a diversified financial services company providing banking, insurance, investments, mortgage and consumer finance through almost 6,000 stores, the internet and other distribution channels across North America and internationally. www.wellsfargo.com. Charles Schwab Foundation is a private, nonprofit organization funded by The Charles Schwab Corporation. Its mission is to create positive change through financial education, philanthropy, and volunteerism. More information is available at www.aboutschwab.com/community. Visa is a global payments technology company that connects consumers, businesses, banks, and governments in more than 170 countries, enabling them to use digital currency instead of cash and checks. Visa has built one of the world's most advanced processing networks, capable of more than 10,000 transactions per second, with reliability, convenience, and security. From major cities to remote areas without banks, people are increasingly relying on digital currency along with mobile technology to use their money any time, make purchases online, transfer funds, and access basic financial services. All of which makes their lives easier and helps grow economies. Learn more at www.currencyofprogress.com. Founded in 1814, Emma Willard is a leading college preparatory boarding and day school for young women in Troy, NY. Throughout its history, Emma Willard has been committed to enrolling a diverse student body from New York's capital region, across the country, and around the world.www.emmawillard.org. Mediatrope creates award-winning museum Web sites and interactives, integrating strategy, design, and engineering with a focus on users. Mediatrope is a pioneer and leader in content management for museums.www.mediatrope.com. For press releases, images and media contact information please visit the media room. For Economica in the news, please visit our Praise and Press page.